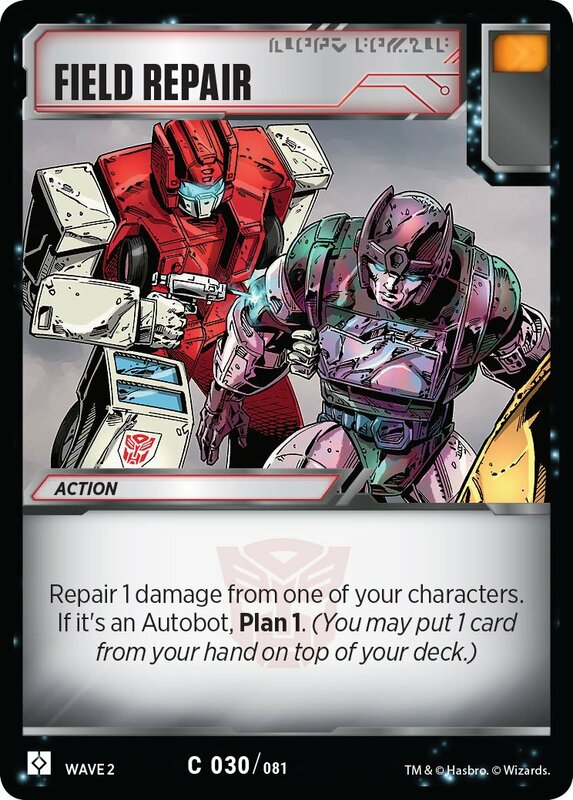 Care of ‏@Chris_VanMeter on Twitter, we have 3 more Transformers TCG battle cards reveals to share with you. Field Repair: (Featuring First Aid and Kup) Repairs 1 damage of one of your characters. Power Punch: (Featuring Menasor) Lets you flip 3 more battle cards when attacking. Underhanded Tactics: (Featuring Skyquake) Does 1 damage to an enemy. 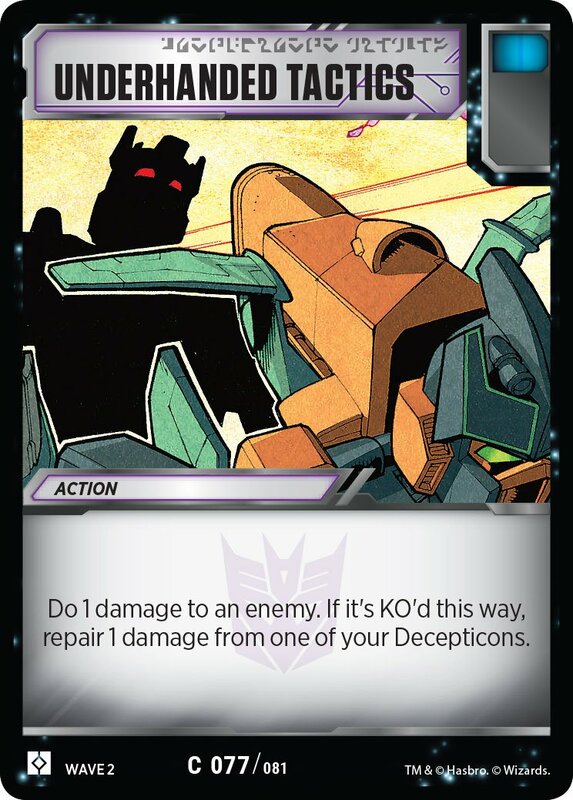 If it’s KO’d, you can repair 1 damage from one of your Decepticons. 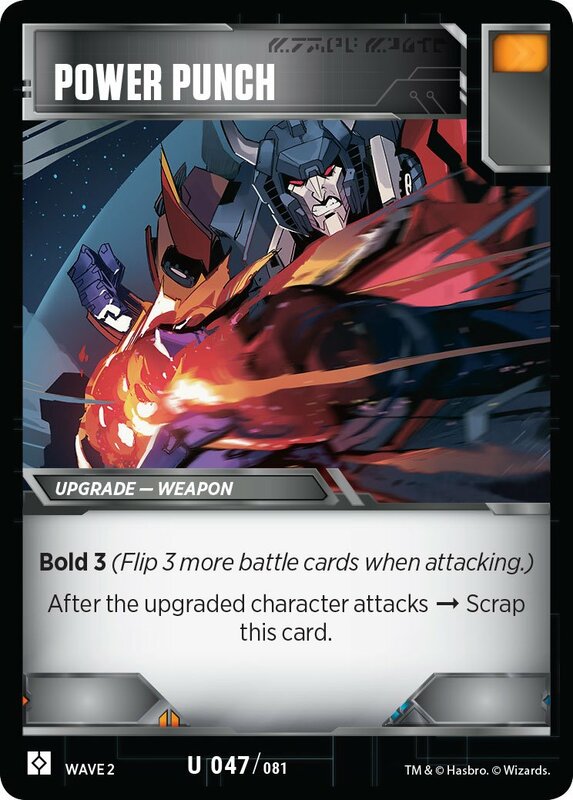 These cards are part of the new Rise Of The Combiners expansion which will be on stores this March, 1st. Power Punch will be amazingly awesome with Wheeljack. I don\'t understand what\'s in the foreground in the \"punch\" picture. I feel like we saw Field Repair before. Has anyone been theory-building yet? I\'m trying to put together a Menasor deck list that I think I\'ll likely be able to build after 1 booster box and a draft. Looks like the new set will give you advantages for keeping your team faction specific. Power Punch and Supercharge seem to similar to bother with. What would you stick with or what do you think is better?